$339 /month for 36 months. $3,787 due at signing. 2019 CLA 250 Coupe 4MATIC®. $339 per month 36 month lease based on $37,895 MSRP less suggested dealer contribution. $3787 due at signing. Includes $2653 capitalized cost reduction, $795 acquisition fee and first month’s payment. No security deposit required. 10,000 allowable miles per year. .25 cents per mile in excess plus charges beyond normal wear and tear and $795 vehicle turn-in fee may apply at lease end. Plus tax. With approved credit through Mercedes-Benz Financial. Offer ends 3/31/19. $389 /month for 36 months. $3,837 due at signing. 2019 GLA 250 4MATIC® SUV. $389 per month 36 month lease based on $38,745 MSRP less suggested dealer contribution. $3837 due at signing. Includes $2653 capitalized cost reduction, $795 acquisition fee and first month’s payment. No security deposit required. 10,000 allowable miles per year. .25 cents per mile in excess plus charges beyond normal wear and tear and $795 vehicle turn-in fee may apply at lease end. Plus tax. With approved credit through Mercedes-Benz Financial. Offer ends 3/31/19. $489 /month for 36 months. $4,383 due at signing. 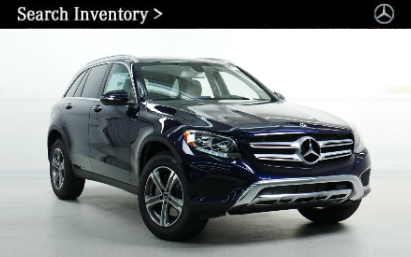 2019 GLC 300 4MATIC® SUV. $489 per month 36 month lease based on $44,945 MSRP less suggested dealer contribution. $4383 due at signing. Includes $3099 capitalized cost reduction, $795 acquisition fee and first month’s payment. No security deposit required. 10,000 allowable miles per year. .25 cents per mile in excess plus charges beyond normal wear and tear and $795 vehicle turn-in fee may apply at lease end. Plus tax. With approved credit through Mercedes-Benz Financial. Offer ends 3/31/19. $609 /month for 36 months. $5,023 due at signing. 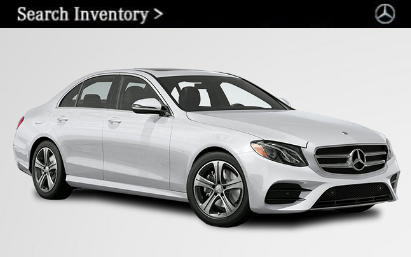 2019 E 300 4MATIC® Sedan. $609 per month 36 month lease based on $56,995 MSRP less suggested dealer contribution. $5023 due at signing. Includes $3619 capitalized cost reduction, $795 acquisition fee and first month’s payment. No security deposit required. 10,000 allowable miles per year. .25 cents per mile in excess plus charges beyond normal wear and tear and $795 vehicle turn-in fee may apply at lease end. Plus tax. With approved credit through Mercedes-Benz Financial. Offer ends 3/31/19. $439 /month for 36 months. $4,333 due at signing. 2019 C 300 4MATIC® Sedan. $439 per month 36 month lease based on $45,995 MSRP less suggested dealer contribution. $4333 due at signing. Includes $3099 capitalized cost reduction, $795 acquisition fee and first month’s payment. No security deposit required. 10,000 allowable miles per year. .25 cents per mile in excess plus charges beyond normal wear and tear and $795 vehicle turn-in fee may apply at lease end. Plus tax. With approved credit through Mercedes-Benz Financial. Offer ends 3/31/19. $629 /month for 36 months. $5,823 due at signing. 2019 GLE 400 4MATIC® SUV. $629 per month 36 month lease based on $60,595 MSRP less suggested dealer contribution. $5823 due at signing. Includes $4399 capitalized cost reduction, $795 acquisition fee and first month’s payment. No security deposit required. 10,000 allowable miles per year. .25 cents per mile in excess plus charges beyond normal wear and tear and $795 vehicle turn-in fee may apply at lease end. Plus tax. With approved credit through Mercedes-Benz Financial. Offer ends 3/31/19. Ready to step into a Mercedes-Benz? We have just the offer for you! 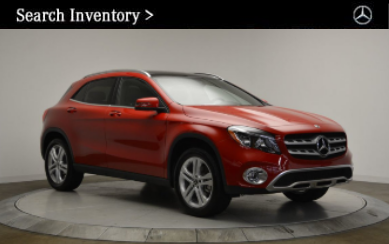 With a variety of monthly lease specials for all types, from sedans like the 2019 Mercedes C Class to SUVs like the 2019 Mercedes GLA 250, there is something for everyone. Low down payment and low monthly payments make it easy to have the car you’ve always wanted. Once you buy a Mercedes-Benz, you will be hooked. Leasing offers the opportunity to always have the newest models in your driveway. Never miss out on the latest technology of German engineering, and before you know it, you’ve become used to this level of luxury. Settle in and get comfy, it’s going to be a luxurious ride. Cars that can park themselves from your Mercedes-Benz mobile app to a spacious, leather interior, there is no limit to the features and quality. Oh, the Choices of Mercedes! Wondering which new Mercedes model to choose? The ever-popular Mercedes C-Class is perfect for the commuter looking to spice up the drive with a little more comfort. Starting at $42k, this is affordable and attainable. 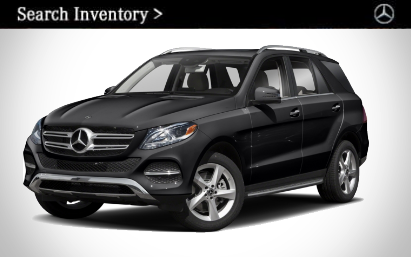 Maybe you need a compact Mercedes SUV to fit your family for trips to the mountains on the weekend. The Mercedes GLA 250 is ideal for this situation and still very affordable. Looking for something more heavy duty? Check out the Mercedes GLE 350 with more power and capabilities while still providing the level of luxury you’ve grown accustomed to. 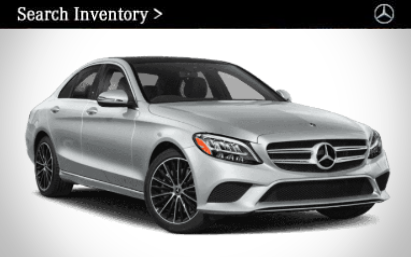 When you purchase or lease a Mercedes-Benz, the care and attention don’t stop there. You can get the service package to cover all needed maintenance and keep your car running and looking like new forever. We even provide pickup and drop-off so you never have to worry about fitting a service visit into your busy schedule. 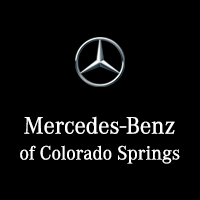 We are the only authorized Mercedes-Benz service dealer for Southern Colorado. Who better to take care of the car than the same people who guided you through the purchase process and know best what you want and need? 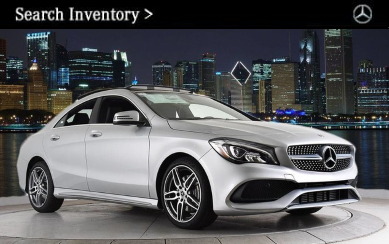 Contact us today to start your quest for the perfect Mercedes car!